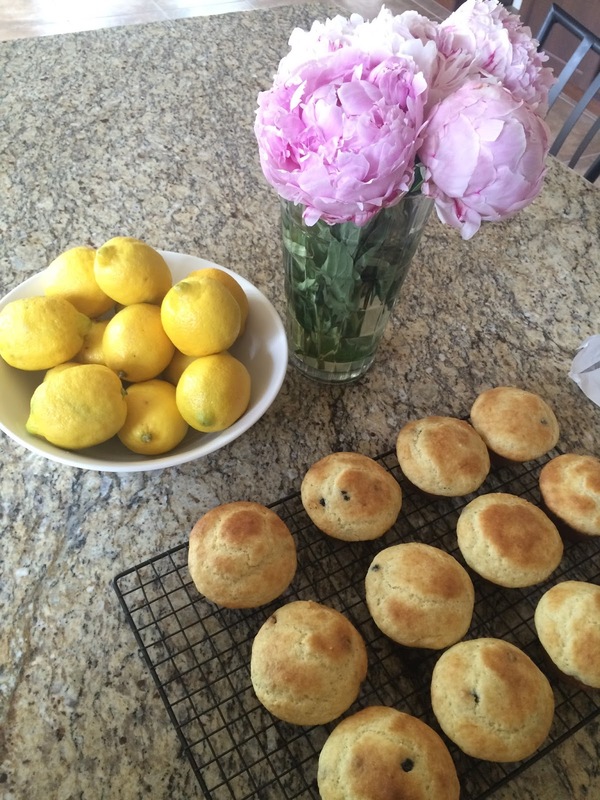 and had lots of requests for the recipe… I’m gonna be totally honest. I cheated a touch. Don’t be upset! I used a boxed mix for my gluten-free base. It’s a mix I always keep on hand so that I can make up muffins quick if I don’t have the time to sort through all my recipes and find the really good healthy ones. No I wasn’t asked to endorse them but I’m definitely giving this brand a big thumbs up!! So far we’ve had lots of success with their products and this mama loves the convenience these days. One thing I was wrong on it that they’re sugar free. Sadly, this particular mix isn’t. 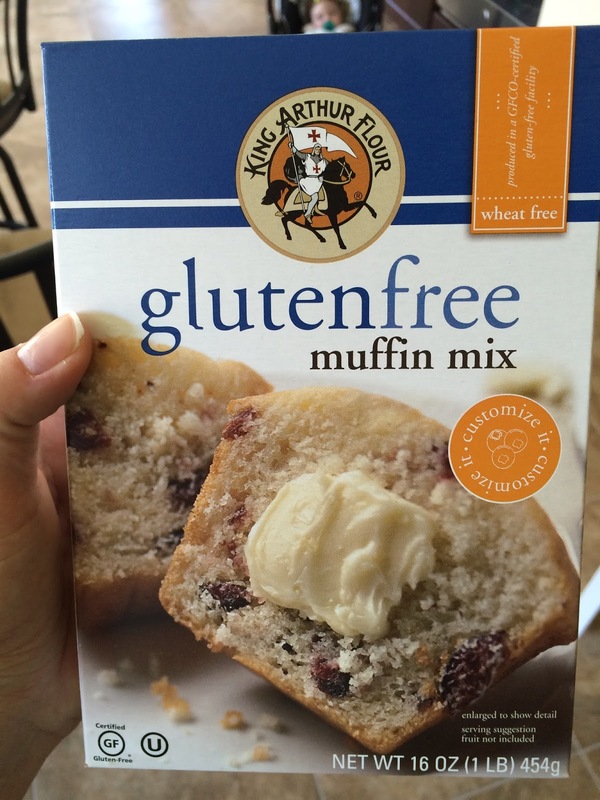 What I love the most about this King Arthur Flour mix… it is a plain simple mix. No foo foo stuff. You can add any mix-ins you’d like to create the best muffins. So far I’ve done berries, nuts, chocolate, spices and even essential oils (lemon & orange). It calls for 3 eggs, milk & oil or butter. Instead I substitute, I use the eggs, coconut/almond milk and coconut oil every time. They always turn out yummy! 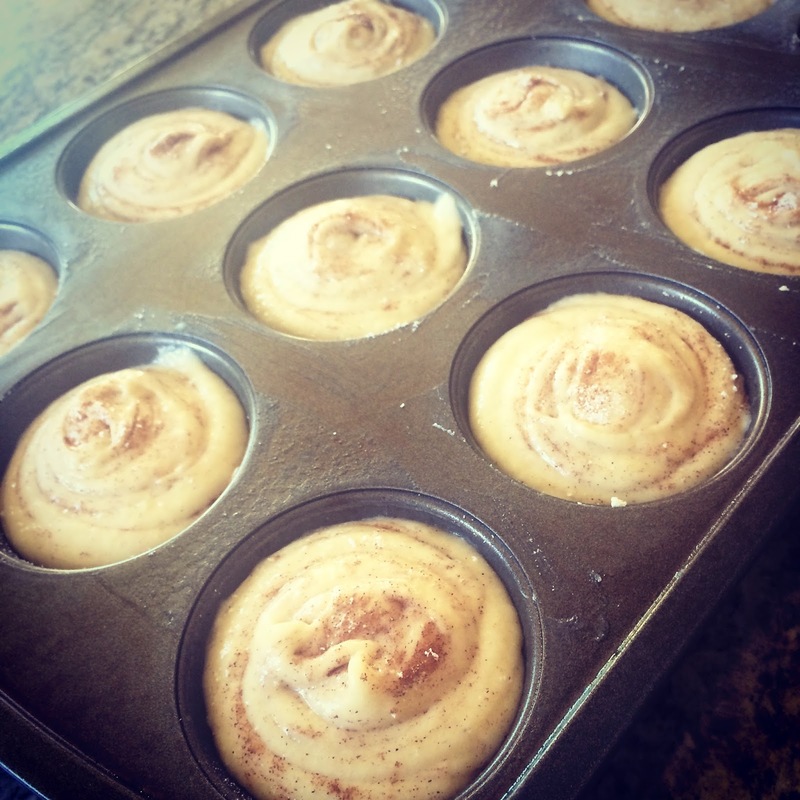 For yesterdays creation I went with cinnamon in the batter & a touch of stevia sprinkled on the top then swirled. This gave them a delicious snickerdoodle flavor. Of course I spaced on taking a photo once they were out of the oven but here is an old photo of the same mix with blueberries added in. Give it a try! No gluten, wheat and completely customizable to your liking!! I’m off pickup Cash from preschool and then it’s naps for everyone!